MSG for Health: Good or Bad? What Science Says. 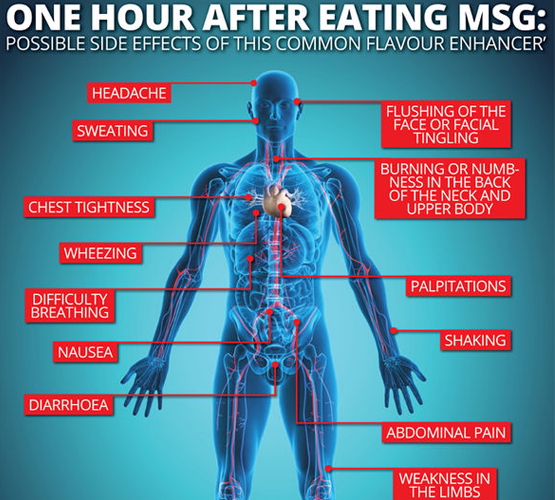 What Science Says About MSG. The use of MSG, monosodium glutamate has remained controversial because of its alleged association with a set of symptoms called Chinese Restaurant Syndrome (CRS). Even so, the Food and Drug Administration (FDA) has classified it as a food ingredient that's "generally recognized as safe". Many of the symptoms that reportedly result from taking MSG lack scientific evidence and the available studies are not conclusive in nature. Some even claim that this flavor enhancer can cause asthma and brain damage. But again, the evidence is lacking and such reports are mostly anecdotal rather than science-based. Amid all these confusing study results and non-conforming claims, common users can often get lost in the web of biased and non-scientific information. For this reason, we are providing a detailed report on why this common flavor enhancer may be (or may not be) bad for you, and what precautions you should take if it concerns you. Where Did MSG Come From In The First Place? An acronym for monosodium glutamate, it is a flavor enhancer (e-number E621). Chemically, it is the sodium salt of glutamic acid, an amino acid which is naturally present in our body as well as in foods such as tomato and cheese. It has its root in Japan. Professor Kikunae Ikeda of the University of Tokyo first isolated it from a seaweed called “kombu” in 1908. Within the next one year, its commercial production and marketing began with the name “Aji-no-moto”. It spread across the US by the 1960’s and gained popularity with the brand name Accent. The discovery began with boiled bean curd with dashi (broth) made from kombu, a kind of kelp. While dining on kombu dashi, Dr. Ikeda became convinced that there was another basic taste altogether different from sweet, salty, sour, and bitter, and he began researching the composition of kombu dashi. Around the same time, Hiizu Miyake, Japan's first doctor of medicine, hypothesized that "good taste stimulates digestion." Dr. Ikeda was encouraged by this idea, and ultimately discovered that glutamic acid, a kind of amino acid, was what gave kombu the distinctive taste he had been searching for. 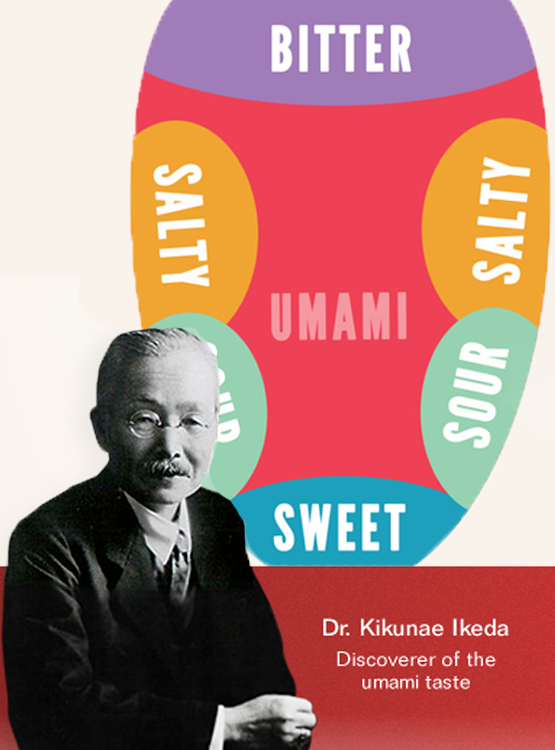 He named the taste "umami," and proceeded to invent a method for producing seasoning with glutamate as a key component. The International Classification of Headache Disorders 3rd edition (ICHD-III beta) classifies it as a causative substance of headache. According to one study in The Journal of Headache and Pain, females might be more likely to have headaches following the consumption of high amounts of MSG. Another study in The Cochrane Database of Systematic Reviews in 2012 found no link between its consumption and asthma in kids. Due to the lack of solid evidence, many studies urge health professionals to warn public about the overall health effects of Chinese restaurant foods rather than focus on one specific ingredient. The FDA recommends using the term MSG Symptom Complex for the set of symptoms which is commonly called the Chinese Restaurant Syndrome. The symptoms include headache, flushing, numbness, fatigue and irregular heartbeats. Some people may be naturally sensitive to MSG. No one knows why but some people seem to be more likely to develop the symptoms. The Federation of American Societies for Experimental Biology (FASEB) and the FDA also consider such subpopulation might exist in reality. MSG-rich foods might promote obesity. Let’s first get it straight, MSG does not directly contribute to weight gain. However, the foods that contain MSG such as potato chips, frozen dinners, cold cuts, gravies, ranch dressing, and salty flavored snacks can all make you fatter. Moreover, it is also quite likely that you might overeat these foods due to their flavor, which is most cases is due MSG. MSG might not be as bad as reported. That said, it cannot be considered healthy owing to its appetizing nature and potential overeating resulting from this. Make sure to read food labels while purchasing and limit eating outside. This will not only help to reduce MSG consumption but also other unhealthy substances including saturated fats and refined sugars. If you experience any symptoms of CRS within 30 minutes after taking MSG-rich foods, it is likely that you might be sensitive to it.